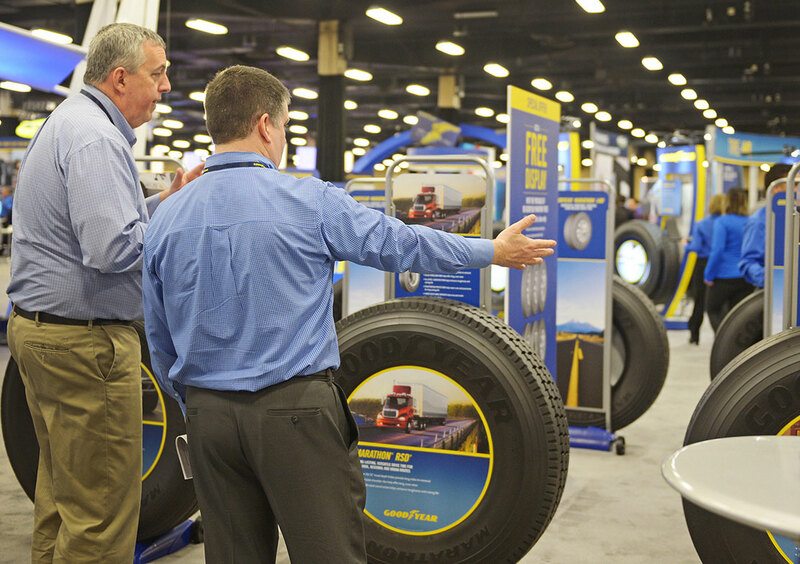 Goodyear’s annual customer conference draws 2,500 attendees to their trade show floor annually. For over a decade, CEI has been chosen to handle all design and production of trade show booths, as well as general contractor responsibilities. 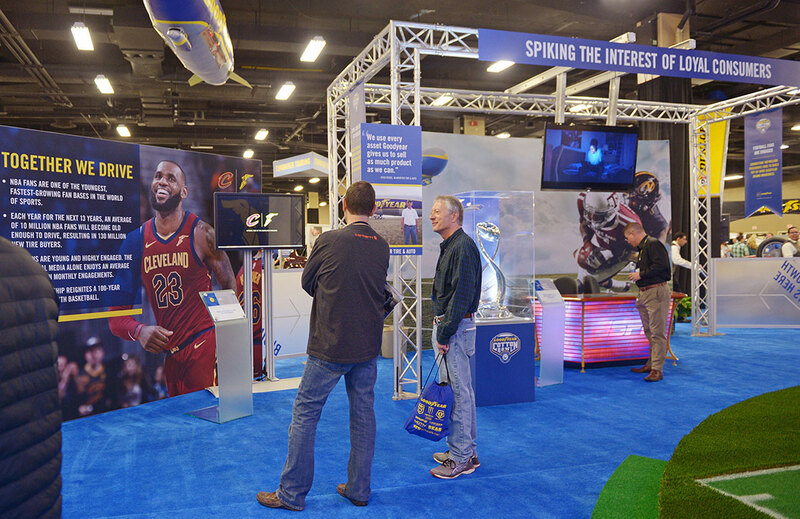 In addition to designing and producing the Goodyear show floor booths, CEI sells all exhibitor spaces, arranges and provides all show services, contacts for shipping and labor, and runs the show service desk on site. This unique opportunity has shown CEI to be an integral part of the conference, with a proven track record of delivering results that are among the best in the industry. 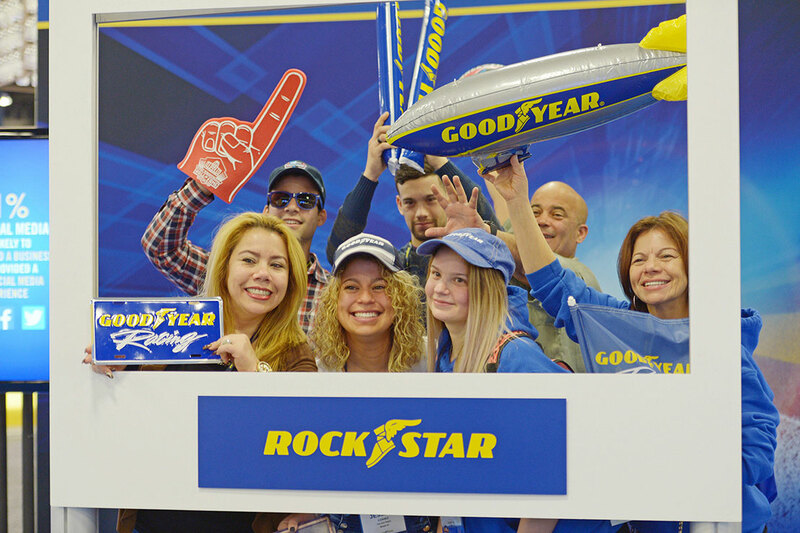 Goodyear had a proven track record of providing a quality event for its customers. However, the trade show floor portion of the event was disjointed and lacked a cohesive delivery system. 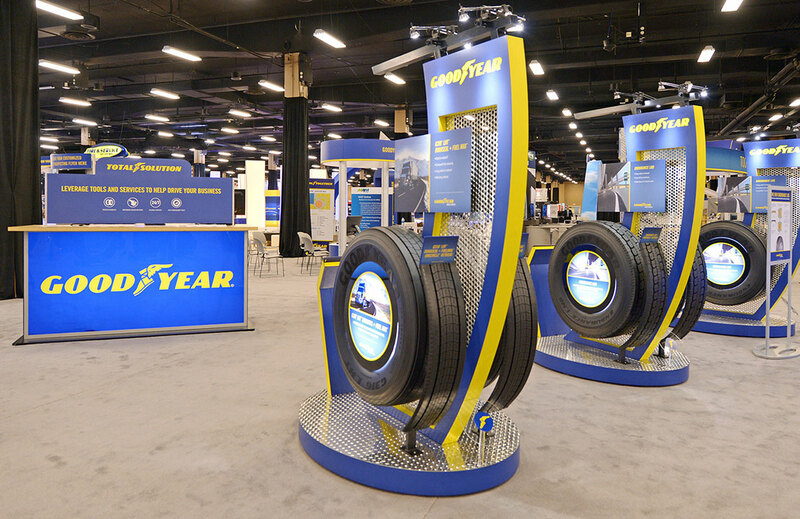 CEI’s long tenure with Goodyear, coupled with our year-round service relationship, makes us uniquely qualified to be an integral part of this event. We are involved with site visits, planning and production meetings, in addition to leading all show floor responsibilities. Planning for this event begins approximately eight months prior and involves every CEI department. 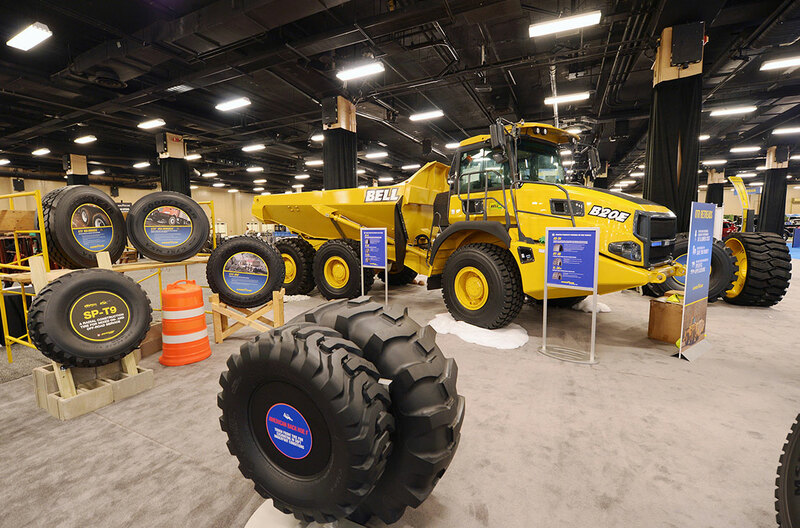 Acting as the general contractor, CEI worked with Goodyear to provide its exhibitors one source for all trade show-related needs with the goal of creating the industry’s best private event experience. We conceived and initiated an exhibitors’ advisory board to assure best practices; designed and produced an exhibitors’ prospectus, the go-to source for all vital event information; received and processed payment for all booth spaces, show services, and sponsorships; and handled all show orders and logistics. As design lead, CEI conceived and produced all Goodyear booth properties; designed the overall show floor layout and flow; designed and delivered trade show floor and hotel graphics; and worked with Goodyear and associated agencies to meet – and exceed – all strategic goals and objectives. Each year, CEI develops booth layout, design, and production for over 41,000 square feet of custom booth space and provides complete exhibitor and show service support for the entire show hall. 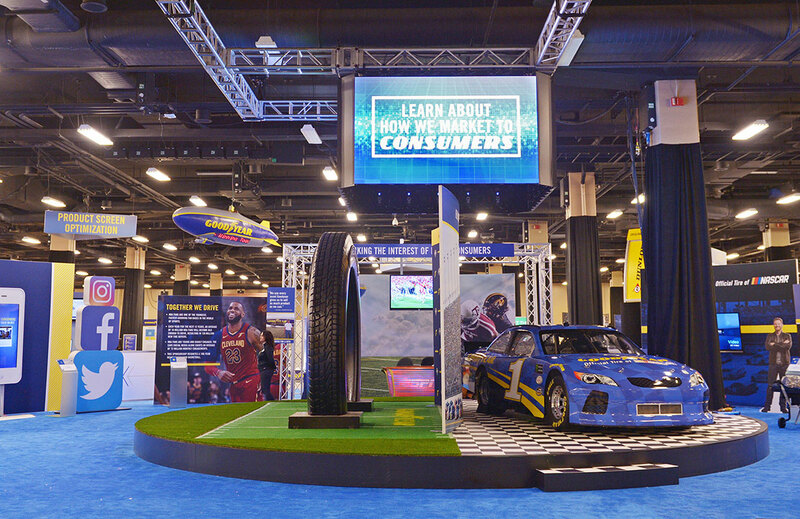 Through the efforts of CEI and the exhibitor team at Goodyear, the Goodyear Customer Conference support service expenses are entirely covered by exhibitor booth and sponsorship fees.